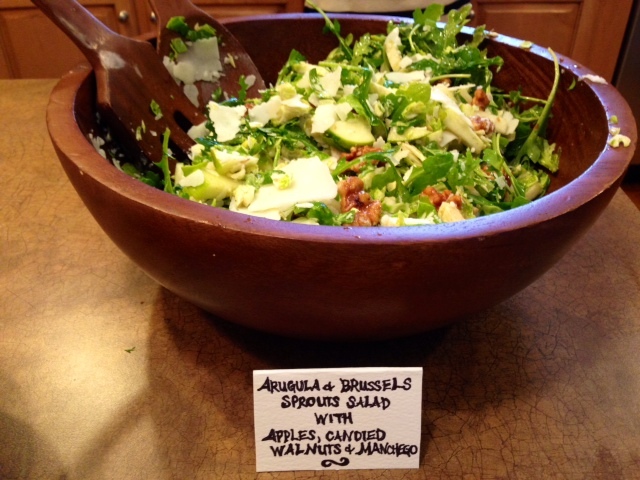 Arugula, Apple & Brussels Sprouts Salad. 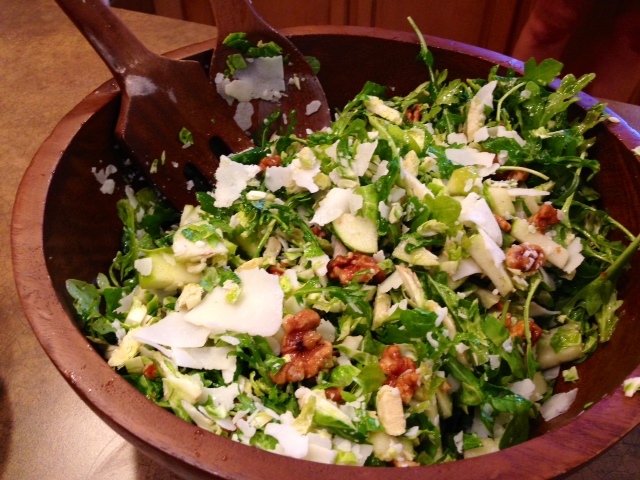 Arugula & Brussels Sprouts Salad With Green Apples, Candied Walnuts & Manchego Cheese. Finally, for the last dish from the baby shower, I wanted to make one salad that was a healthier option but also interesting and different. 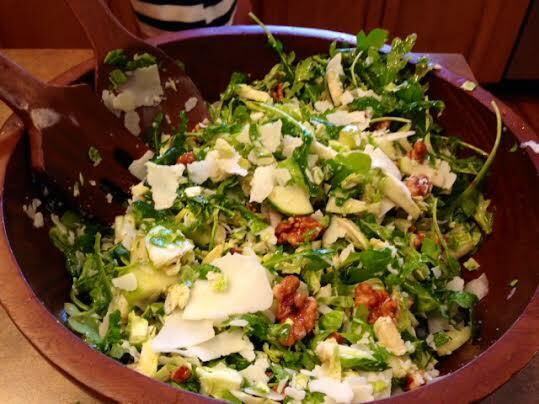 I love mixing sweet and salty in salads – the sweetness of the apples and walnuts were complimented perfectly with the Manchego, veggies and tangy vinaigrette. The Brussels sprouts and arugula added great texture and flavor to the salad. Serves ~8 depending on portion size. In a small bowl, combine the apple cider vinegar and olive oil and whisk together. Add all of the salad ingredients in a large salad bowl and pour the vinegar/olive oil over top. Season with a dash of salt/black pepper and toss well to combine. ← Creamy Lemon Parmesan Potato Salad. I love brussels – and they’re fantastic in salads! I love the other ingredients you’ve used with them. Will have to try it.